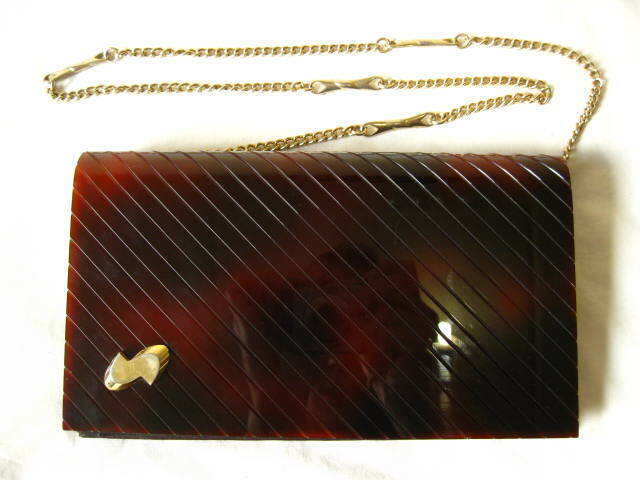 Why look what we have here… A rare and highly collectible 1950s tortoise shell look lucite front purse with removable chain strap. This type of beauty you don’t find every day! The perfect piece to finish off your party look for the silly season. We’re in love!